So... what do you do when your face feels dull, tired and you have no time for a facial or you can't spare a day to rush to your favourite salon for a quick clean-up or a facial spa treatment? Maybe, you probably need an 'Instant' skin hydrating formula for the timing? 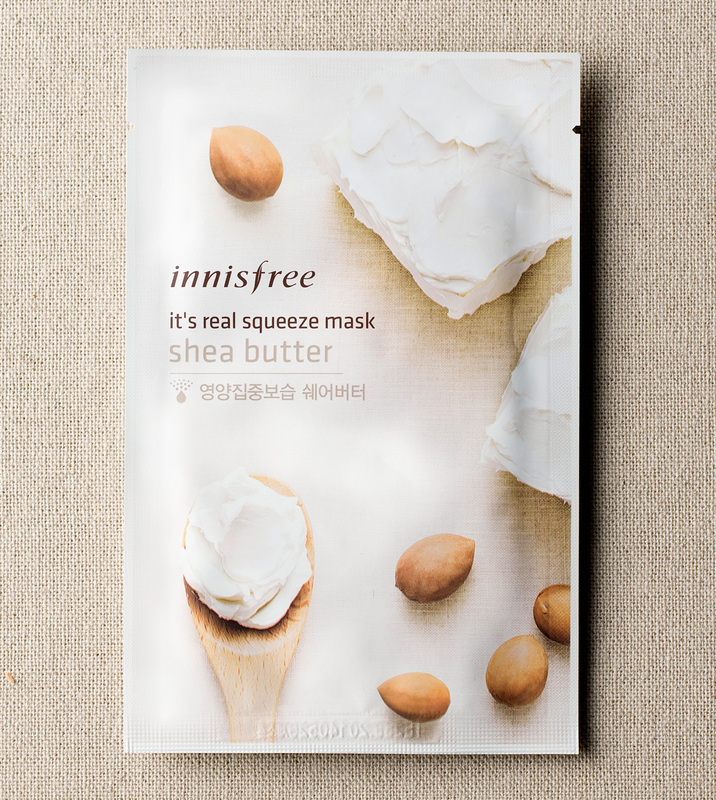 Well, Innisfree It's real squeeze mask is here to your rescue! This Korean skincare brand has taken over the beauty world, and people are going gaga with its easy-to-use mask sheet which has been a fad for a longer period now. 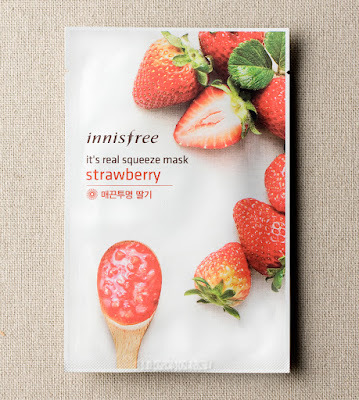 And, today I will be reviewing 3 of Innisfree “It’s real Squeeze” Masks. This so-called face sheet has been an in-thing in Korea for the past many years, and I was pretty fascinated to try it out. 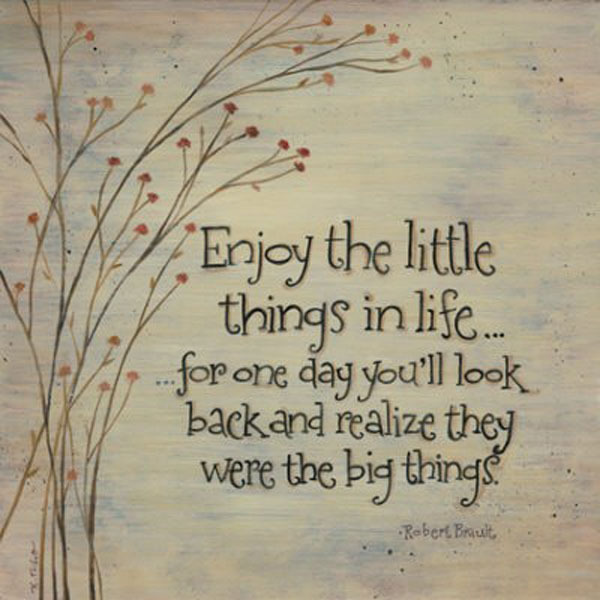 Luckily, it made its way to India, and I was excited to get my hands on them and feel the way it works. I am super conscious when it comes to any skin care thing, and it usually takes me a lot of researching and convincing to try new products for the first time. However, for this, I already heard a lot of good thing about it, so I wasted no time and picked three of em which I thought will be suitable for me. 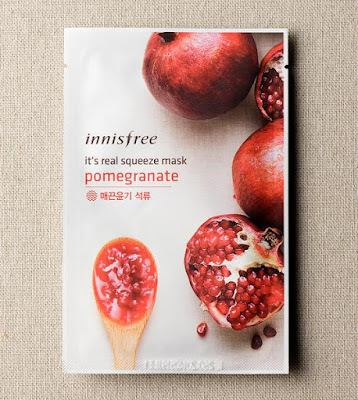 Innisfree “its real Squeeze” masks are made with pieces of soft fabric soaked in moisturising serum, it has a strong essence, which can gradually be absorbed into the skin. The mask is cut perfectly in a shape of a face, and can apparently fit on anyone. The packaging is impressive enough to make you believe it’s safe to use, It is travel-friendly, and you can easily slip it into your bag wherever you go and take your time just to peel and chill with the sheet on. Strawberry juice is supposed to work as an efficient remedy for lightning blemish, and acne scars. The rich source of vitamin C is good for the skin and fights free radicals. So, the first sheet mask I tried was the strawberry flavour, which has a strong fruity smell, soaked with moist serum, it does not drip, and It is easy to use. Do make sure you let it settle on your skin by patting the parts which need to be flattened. 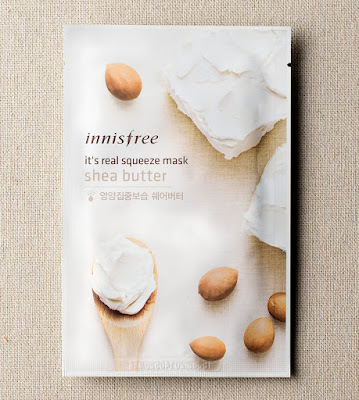 The mask gave a soothing effect, and it did calm my skin. 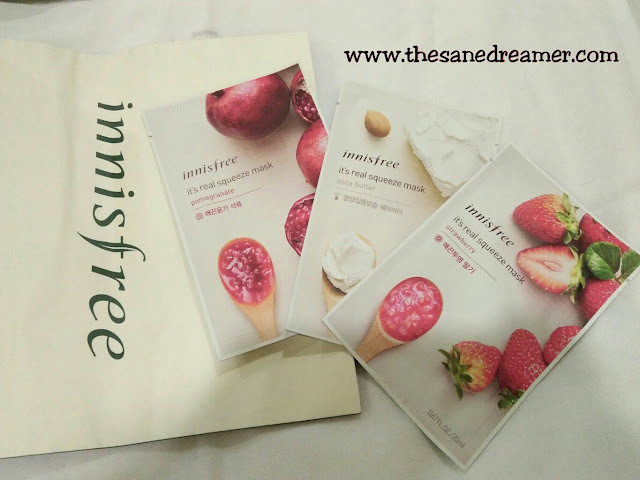 The result was pretty impressive as the strawberry extracts are sure to give your skin undeniable radiance and make it soft and supple. Pomegranate, known as the "king's fruit," is believed to rejuvenate your skin and keep them away from damaging. So, going by its benefits, I choose the pomegranate flavour. This one gives a toning effect; it nourished my skin and the serum gave a smooth and soft feeling. My skin felt firm and radiant, probably because Pomegranates juice works as an astringent to keep your skin glowing and blemish free. What attracted me to this one is the moisturising effect it promises to give your skin. Shea butter is known to treat inflammation and cure blemish. The moisturizing capacity of Shea butter made my skin smooth and gave a healthy glow, which lasted for at least two days. Overall, I am impressed with the result; the sheet will surely hydrate your skin, giving a radiant and vibrant soft touch. However, everyone has a different skin type so kindly look into the ingredients or test for possible allergic reactions before you use the mask. After cleansing your face, dry it, put on the mask and leave it for 10-20 minutes or as directed on the package. Once done remove the sheet, and pat or massage your skin with the serum and let it absorb into your skin. For best result, use it before you go to bed and leave the serum to absorb as you take your beauty sleep, so that when you wake up, your face will have a radiant and fresh look. Disclaimer: This is not a promotional post for the brand, all the opinion expressed are based on my very own experience.